For the mutual protection of lot owners and the cemeteries as a whole, the following rules and regulations have been adopted by the Board of Cemetery Commissioners for Mound and Graceland Cemeteries in Racine, Wisconsin. All property owners of interment rights, persons within the cemeteries, and all interment rights sold shall be subject to said rules and regulations. Any reference to these rules and regulations in the contract, deed, or certificate of ownership to interment rights shall have the same force and effect as if set forth in full therein. These rules and regulations are designed for the protection of Mound and Graceland Cemeteries – as well as, collectively, all owners of burial rights. They are intended not as restraining, but rather as preventing the inconsiderate from taking unfair advantage of others. Their enforcement will help protect and preserve the beauty of both Mound & Graceland Cemeteries. The cemeteries expressly reserve the right – at any time and without notice – to adopt new rules and regulations or to amend, modify, or repeal any section, paragraph, or sentence of these rules and regulations. The Rules and Regulations shall be on file in the cemetery office, and copies shall be made available to all new owners and to interested parties upon request. Rules and Regulations of the cemeteries, prices for burial spaces, and services provided are made by the Cemetery Commissioners and by the Dept. of Parks and Recreation’s Cemetery Management Staff. The cemetery may, and it hereby expressly reserves the right – at any time – with, or without notice to lot owners, to adopt new rules and regulations or to amend, alter, and/or repeal any rule, regulation, and/or article, section or paragraph contained herein. Special cases may arise in which the literal enforcement of the rule may impose unnecessary hardship. Subject to approval of the board, the cemetery, therefore, reserves the right – without notice – to make exceptions, suspensions, and/or modifications in any of the Rules and Regulations. Graves must be paid for in full before a burial takes place. Full purchase price must be paid before a Burial Rights Agreement or grave purchase receipt is issued. All grave owners are required to notify the cemetery of any change of address. All notices required to be sent shall be sent to the last recorded address and such notices shall be deemed adequate. The cemetery staff will take all reasonable precautions to protect grave owners and their property within the cemeteries from loss, damage, or injury, but shall not be responsible for any loss, damage, or injury. The right to use automobiles or other vehicles in the cemeteries is authorized solely and exclusively for the purpose of transporting persons to visit burial plots. Parking and/or driving on any garden or grassy areas is prohibited for purposes other than obtained from the cemetery. Bringing alcoholic beverages or illegal drugs into the cemetery is strictly prohibited. The cemetery staff shall have the right to enter upon or use any adjoining lot(s), grave(s) to carry out its duties as to interments, erection of monuments or markers, etc. without prior notice to the lot/grave owner. No signs, notices, or advertisements of any commodity – other than by the cemetery, are allowed on cemetery grounds. The feeding of wildlife is strictly prohibited. Employees of the cemetery are not permitted to do any work for lot/grave owners except upon order for the management and are required to be courteous to all visitors. Persons visiting the cemetery or attending funerals are prohibited from picking flowers, wild or cultivated, breaking or injuring any trees, shrubs or plants, or from writing upon, defacing, or injuring any memorials, fences, or other structures within cemetery grounds. Receptacles for waste material are located at convenient places throughout the grounds. Hence, the throwing of rubbish on the drives and paths, or on any part of the grounds or buildings is prohibited. The placing of boxes, shells, glass vases, sports memorabilia, toys, metal designs, ornaments, chairs, shepherd’s hooks, settees, and similar articles upon lots/graves will not be permitted. If so placed, the management reserves the right to remove such items. During the progress of any burial services, all work in the immediate vicinity shall cease and quiet/silence shall prevail. Erecting booths or stalls and selling, peddling, soliciting, advertising, and the distribution or placing of any advertisement is prohibited. 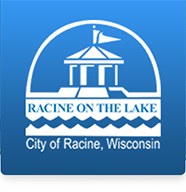 Per Racine City Ordinance – Sections 30-6 “Dogs. No person shall allow his dog, whether it is at large or under the control of the owner or any other person, in any of the city’s cemeteries”. Recreational walking, running, and bicycling are allowed on paved surfaces only. The city will not be responsible for the loss or damage of any article or object left in any part of either cemetery. Vehicles entering the cemeteries must not exceed 25 MPH. Persons desiring to purchase lots/graves should visit the Mound Cemetery Office where the management will aid them in making a selection. All payments are to be made at the office. Lot and single grave spaces are sold on a first come, first serve basis. Lot/grave owners are encouraged to designate the individual grave spaces at the time of purchase. Upon the death of the owner of a cemetery grave or lot, the right to burial in said grave/lot shall be equally shared by all living offspring – unless the cemetery is provided with legal documents which would state otherwise - regarding right of ownership or right of burial. Monuments or headstones may not be erected until lot is fully paid for. Certain sections may have restrictions on the type or size of monument or marker that can be used. It is the lot/grave owner’s responsibility to check with the cemetery office for any restrictions pertaining to their individual lot before purchasing the monument/headstone. The right to enlarge, reduce, replace, or change the boundaries or grading of the cemetery or a section of it, from time to time, including the right to modify or change the locations of or remove/regrade roads, drives, or walks or any part thereof is hereby reserved – subject to Board and City Council approval. The right to lay, maintain and operate, alter, or change pipe lines or gutters for sprinkling systems, drainage, etc., is also expressly reserved – as well as the right to use cemetery property not sold to individual lot owners for cemetery purposes – including interment of human remains or for anything necessary, incidental, or convenient thereto. The cemetery reserves to itself and to those lawfully entitled thereto a perpetual right of ingress and egress over lots for the purpose of passing to and from other lots. It is the duty of the lot/grave owner to notify the management of any change in his/her post office address. The statement of any employee or agent, unless confirmed in writing by the management, shall in no way bind the cemetery. To open a grave, the person ordering the same must contact the cemetery office with the request. Two full business days’ notice to the cemetery office is required to prepare for a burial during the spring, summer, and fall seasons. Winter burials may require 3 business days’ advance notification depending on ground conditions. However, if a funeral is ordered within the required three business days and preparation for the funeral must take place after normal working hours, on the weekend, or during a city observed holiday, surcharges may apply. No interments shall be allowed until the grave space and the opening/closing costs have been paid for. All graves will be prepared by the employees of the cemetery. All interments in lots/graves shall be restricted to persons designated by the lot/grave owner. If an order is presented for the interment of a person who is not a member of the immediate family, written authorization from the lot/grave owner must be filed with the cemetery office. Regarding interments in any given single grave, current practices allow for any of the following options: 1 full size burial (single); 2 full size burials (double depth); 1 full size burial and 3 cremations on top; or 3 cremations. In order to maintain a high standard of care, it is required that all full size burials must consist of a casket being placed inside a vault made of reinforced concrete. All vaults must be made and installed as to meet specification established by the management. Vaults may be procured from any source, provided they meet the established specifications. No removal of human remains shall be made from the cemetery except by written approval of the city, medical examiner, presentation of a legal permit, and payment. The cemetery and city are not responsible for any damages to a vault as a result of disinterment. A disclaimer must be signed in advance by the grave owner. Skilled vault operators must be provided and paid for by the grave owner for the handling and sealing of said vault. Handling and sealing of the vault must be performed under the supervision of a licensed funeral director/home. Cremated remains must be placed in a non-biodegradable container for burial. Great care should be taken in selecting designs for monuments and headstones. A monument should be designed with reference to its surroundings, with consideration being given to the size and character of other monuments erected near it. Monument dealers are required to consult with the cemetery staff before selling a marker of a monument to ensure that it will not conflict with the orderly appearance and aesthetic value of the cemetery or with any rules and regulations. If a marker or monument is located in such a manner that it would interfere with the opening and closing of a grave or graves, the owner may have to forfeit the use of such a grave or graves. A monument shall be permitted on a lot consisting of at least five (5) side-by-side graves. Monuments shall be installed on the head end on five (5) or ten (10) grave lots. Established patterns within individual blocks must be adhered to. All headstones must consist of one piece only – except for standard bronze securely attached to a base of approved material is permissible. Headstones shall not exceed twenty (20) inches in height (including the base), and must be centered at the head of the grave involved. Single headstones shall not exceed thirty (30) inches in length. Double headstones shall not exceed forty eight (48) inches in length. The number of headstones that can be placed on any one given grave cannot exceed 4 – one (1) primary and up to three (3) secondary, flush headstones. All secondary headstones must be flush with the ground and in line with the first headstone. The bottom of monuments and headstones must be dressed to an even and level bed. Headstones shall not be set in sockets or set with dowels. Headstones and monuments shall not be placed on any grave or lot unless the grave or lot has been paid for in full. Only one (1) permanent flower vase is allowed per grave in either cemetery and can only be located in the flower bed area on the grave side of the headstone. Nothing is allowed on either side of the headstone. Only granite or standard bronze shall be used for headstones and monuments. Bronze may be used only if securely attached to a base of approved material. All monuments and headstones must have a foundation of screening gravel, of a depth and size approved by the cemetery. Dealers’ or manufacturers’ cards or advertisements shall not be marked on any stone or placed anywhere within the cemetery. Workers engaged in setting headstones and monuments shall provide suitable boards on the ground on which to move headstones, monuments, or to run trucks over. Immediately after such job is finished, all rubbish must be cleared away by said workers and the grounds left clean and in good condition. Dealers or manufacturers shall repay or pay for the repair of any damage they cause to the cemetery. The cemetery office must receive a footing/foundation order prior to or at the time of its respective stone delivery. Foundation survey/marking fees must be paid within 15 days of the headstone placement by the monument dealer installing said stone. Headstones and monuments of various shapes and designs are allowed in Mound Cemetery. Persons wishing to place a headstone or monument in Mound Cemetery must first discuss the size and shape of the headstone with the Cemetery Management Staff. It is the responsibility of the purchaser to contact the cemetery office for written permission to place the headstone on the desired grave. MONUMENTS: In either cemetery monuments are only allowed on the head end of a 5 or 10 side-by-side grave lot and must be pre-approved by the Cemetery Management Staff. Mound Cemetery chapel is available for rental for funeral services and cemetery related matters as well as non-funeral matters such as social events, wedding, church services, baptisms, lectures, community meetings, etc. No alcohol allowed! Please contact office staff for approval, reservation forms, and related fees.